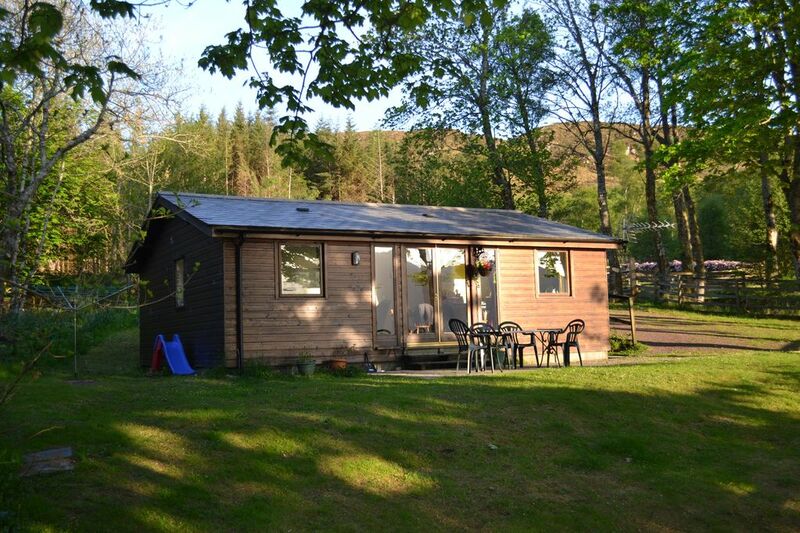 Woodside Lodge, two bedroom self catering property. Woodside Lodge is situated in the crofting township of Achintraid. It sits on a working croft above the village which gives it an uninterrupted view of Loch Kishorn and the Bealach na Ba and the Applecross mountains. It has a fenced garden so dogs are welcome, there is Sky TV, broadband, washer dryer, shower and bath. It is ideally situated to take advantage of the Torridon mountains, the Isle of Skye and the North Coast 500 which is proving to be very popular. It is surrounded by the natural beauty of the west highlands and all the wildlife that lives in the area. Regular visitors are red deer, otters, sea eagles and pine martins which make regular visits to the garden. Kishorn is one of the most beautiful, unspoilt gems on the West Coast of Scotland and an outstanding holiday location. The spectacular scenery, the wildlife, the sea and the welcome guarantee you will be back for more. There is also the Kishorn sea food snack bar and Kishorn craft shop one mile from the chalets, an easy walk if you enjoy taking some exercise. The Bealach cafe is just two miles away and offers coffees and delicious home baking - it is an ideal spot for for breakfast and lunch. Lochcarron is just 7 miles away and has an excellent award winning Spar shop, two filling stations and three garage workshops. There are three restaurants, two hotels and an art gallery. Applecross has a fascinating Heritage Centre detailing the history of the area from Mesolithic times to the present day. There are also various excellent places to eat in Applecross, including the multi-award winning Applecross Inn, which provides delicious meals, specialising in locally caught seafood and a very welcoming, cosy atmosphere, there is also the excellent Potting Shed in the grounds of the Applecross estate house. Kishorn cottages now find themselves close to the popular route of the North Coast 500, Britains answer to Route 66. This route starts in Inverness, heads west to Kishorn, then north passed Ullapool to the north coast, then over to the east coast before heading south back to Inverness, a truly spectacular route indeed. Directions to Pine Lodge and Woodside Lodge. From Inverness take the A9 North to Tore roundabout.Turn left onto the A835 signposted Ullapool. Continue on the A835 past Garve and turn left on to the A832 to Achnasheen. Turn left again onto the A890 to Lochcarron and then on to Kishorn. Turn left towards Achintraid which is 1 mile. Once in Achintraid there are signs for Pine Lodge and Woodside Cottage on the left after 200 yards. Sally and John came to Kishorn from Derbyshire over 20 years ago with their 3 yr old son. Their intension was always to establish a self catering business which they started almost all those years ago. In addition they have always worked locally throughout the years doing various jobs and continue to be a valued part of the community. The croft is the home to a few cheviot sheep and a number of hens which provide eggs locally and to visitors. The bathroom is of a reasonable size with a bath, electric shower, basin, WC and storage heater. Towels can be provided if requested at the time of booking. There is a three piece leather suit, CD player, flat screen TV, Sky channels and DVD player and storage heater. There are DVDs and a number of games to be enjoyed by guests during their stay. There is a CD/ radio. There are a few novels, and books of interest. A number of DVDs are available to guests to use during their stay. There is a fenced garden to the property. There are local kayak companies who can provide training for the novice or exploring days for the experienced. There is a golf course at Lochcarron 7 miles away. There are two steps into the property so wheelchair access is not possible. We had a lovely two night stay. Despite it being December we were very cosy in the Lodge which had plenty of space for the four of us. Beautiful part of the world to visit with stunning scenery. Thank you the lovely review. We are so pleased you enjoyed your stay and hope to see you again. We loved it, loved the location, the property, the garden.... just great!!! Outstanding placing in a remote town. We thoroughly enjoyed our stay in the beautiful and clean lodge! The area was great to explore and the highlight of our trip! The hosts were very friendly and made sure our stay was enjoyable. I would highly recommend this lodge to anyone! Thank you for such a lovely review! We're so pleased you enjoyed your stay. It was a real pleasure to meet you all. Enjoyed my stay very much, was a great base for walking and landscape photography. This was the first occasion I’d spent a significant amount of time at Loch Kishorn and found plenty to do in terms of walking and landscape photography-didn’t need any off the wet weather options available, and virtually no midges too. Was very dog friendly as was the Applecross Inn and Bealach Cafe nearby. The property had all the essentials as well as broadband and sky tv. Enjoyed the views too, and that the lodge had a tree belt providing my wee dog with opportunities to lie in the sun or shade in the garden, whichever he preferred at the time. I know the nearby Kintail area very well having visited frequently on holiday with my late Dad, as we had family ties there with my Grandmother being a MacRae, and her brothers name is also on the war memorial at Eilean Donan Castle. Surprised I’d missed Achintraid during previous visits, as I had been to Loch Carron and Applecross on several occasions. Sally and John were very helpful, and had interesting conversations with John about Engineering which he’s started out in too. Thank you for such a lovely review. Very good to know that Woodside Lodge is so dog friendly..so important for people who holiday with their pets as we do ourselves. I hope you will be back in Achintraid soon! Sweet, cozy, peaceful, and a comfortable. Everything you need to relax and explore. After a beautiful drive in from Inverness we arrived in a small, quiet village on a bay. The locals and other visitors were all warm and friendly. The cabin is slightly up the hill and surrounded by trees that diffuse the sunlight with a fairytale quality. The living room and kitchen look across the garden to the water and peaks. The house is small but laid out well so it doesn't feel small. Three adults had plenty of space. John came to greet us after we unpacked and sent us on a breathtaking scenic drive. He was a kind and welcoming host. I wish we could've stayed longer as it was such a nice base for hiking and scenery. Thank you for such a lovely review. It's always great to get feedback particularly when it's positive! I hope you enjoy the rest of your holiday.